The #1 Resource for Georgia's Manufacturing Community! 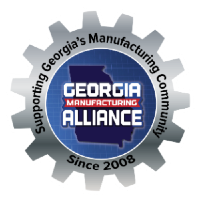 Become a member of the Georgia Manufacturing Alliance to get your 100 word company description in the Georgia Manufacturing Directory. This "Amazon Best Seller" will help you advertise your company to the top manufacturers in the state! Click here to advertise in the printed publication! **Member and non-member rates are available for display ads. Click Here to complete the on-line order process for a display ad. Prices start as low as $477 for GMA members! Download a MEDIA KIT which includes rates and ad specifications. All GMA members are listed in the Georgia Manufacturing Directory. 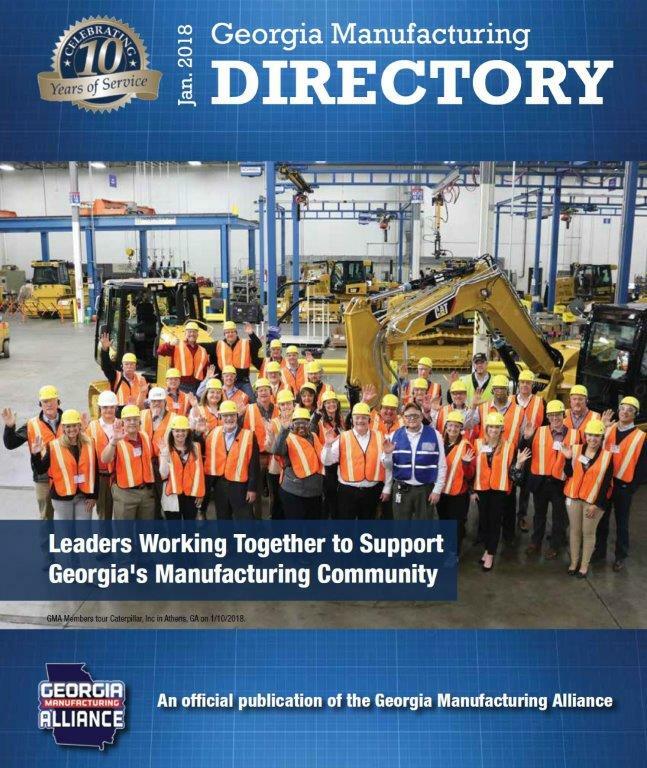 This directory is published for distribution to the top manufacturers in the state, at the Georgia Manufacturing Summit, and at GMA monthly plant tours and events across the state of Georgia. You can also access a fully updated directory any time at this website. Companies that are members of GMA are listed, and have access to edit their listing on demand. This publication is one of the greatest benefits to GMA members. Why is the Georgia Manufacturing Directory needed? Manufacturers struggle daily to find quality suppliers. When given a choice, most prefer to support their local economy and buy from companies in their area. But they often find it difficult to identify the products or services they need. What information is provided by the directory? This desk top membership directory is a list of quality manufacturers, suppliers, and proven service providers in Georgia. These companies are working together through the Georgia Manufacturing Alliance to develop a network of resources to help grow manufacturing jobs in Georgia. Manufacturers, suppliers, service providers, economic developers, and general consumers will all use the information provided in this directory. Where will this directory be seen? Member Facilities All Georgia Manufacturing Alliance members will receive a copy of this directory and will be encouraged to use this as their first option when sourcing supplies and services. Year-round Events In 2018 GMA served more than 3,500 guests at the 120 events which were hosted around the state. This directory will be made available during upcoming plant tours, educational workshops, and networking sessions. Special Events Guests who attend the GMA Anniversary Celebration, Buy From GA Campaign, and the Georgia Manufacturing Summit will also receive a copy of this directory. Click Here to complete the on-line order process. Prices start as low as $477 for GMA members.